A mid-season and early winter glove designed with Q36.5’s proprietary UF Thermal Shell fabric (originally developed for use in our full winter Termica jacket). The laminated, fleece-lined fabric provides excellent waterproofing and thermal qualities. 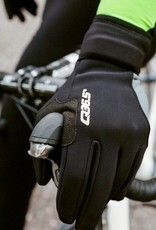 The glove is cut with the same acute attention to comfort and ease-of-movement as the rest of the collection. The pre-shape fit is seen in the way the unworn glove curls forward in the wrist and thumb-forefinger areas. 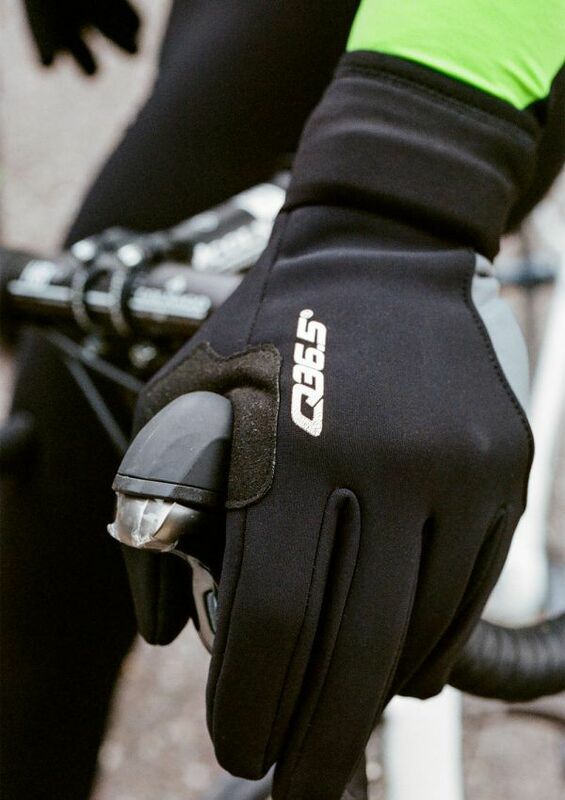 This ergonomic design mimics the riding position of the hand, resulting in minimal tension in the glove’s fabric (and subsequently also the hand within it) while in a riding position. The design also boasts lateral reflective panels, palm-padding for nerve protection, and Japanese micro-suede inserts.